- Looking for a Change? 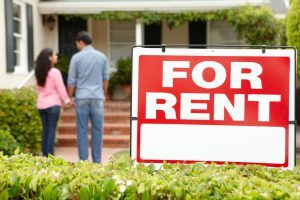 Owning a rental property in Carrollton can be difficult without a qualified property manager to take care of things. You have to maintain the property as well as communicate with tenants and deal with problems that come up. At HUNTAHOME, we take care of those things for you. Our Carrollton property management services help rental property owners maintain their properties and even look for new ones. Owning a rental property is time consuming and often problematic. Our Carrollton property management company makes it worth your time. Rental property ownership is rewarding and profitable when you work with us. When you sign on with us as a client, we evaluate your property and learn all we can about it so we know what to expect in the future. We communicate with you every step of the way and inform you of any problems so you know what’s going on while we take care of things. Communication is an important part of how we work with our property owners. Our high standards for property management make us the best in the business. We value our clients and their tenants and we treat both with respect. If you want seasoned professionals handling your rental property, then get in touch with us today!